The Hoover Mach 5 vacuum has a durable design that can handle common household dirt and debris. This vacuum cleaner has two separate belts moving the rollers to provide superior suction and cleaning power. Over time, you may notice reduced suction if the belts wear out or break. When this occurs, change the belts on the Hoover Mach 5 vacuum to restore its cleaning power. Unplug the vacuum cleaner and turn it upside down and flat on the floor to expose the underside of the vacuum. Remove the six screws holding the bottom plate in place with the Phillips screwdriver. Pull off the bottom plate from the underside of the vacuum and set it aside. Remove the large belt on the left side of the vacuum by pulling it off the pulley. Discard the used belt. Hook the new belt over the motor shaft and pull the other end of the belt over the pulley. Roll the pulley towards you several times to position the belt correctly. 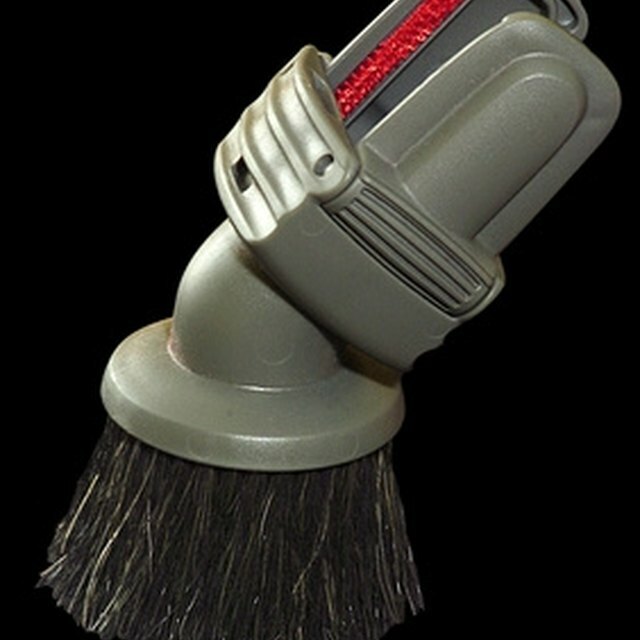 Remove the agitator brush roll by pulling it straight out from the vacuum. Slide the thin V-belt off from the agitator brush roll. Inspect the belt. Because this belt usually lasts much longer than the larger belt, you may not need to replace it. If the belt has cracks or other wear, however, replace it with a new belt. Remove any debris from the agitator brush that might interfere with the belt movement. Slide the new belt around the agitator brush roll and place the belt into the groove on the brush roll. Push the agitator brush roll back into position in the vacuum cleaner first on the other end and then on the end closest to the belts. The V-belt fits loosely around the agitator brush roll. Rotate the agitator brush two or three times to make sure the belts move properly. Replace the bottom plate onto the bottom of the vacuum and replace each of the six screws, tightening them securely with the Phillips screwdriver.